ABRSM Aural - How Well Does It Assess Aural Skills? 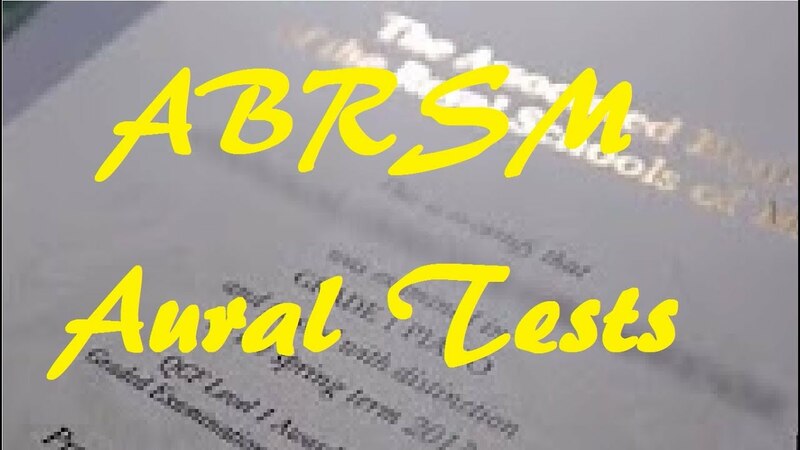 ABRSM Aural Tests and Trinity College Aural Tests are quite different, not least in the fact that Trinity doesn't involve any singing. So which is better at assessing Aural Skills? In this post I want to explore whether singing in particular, is necessary to assess Aural Skills and how Trinity College Aural Tests get round this requirement or even improve on it. In the early grades many of the tests are the same in both ABRSM and Trinity, such as, clapping the pulse, identifying dynamics and articulation and recognizing where a change occurs and whether it is a change of pitch or rhythm. However, in Grades 1-3 of ABRSM, you are required to sing back three short phrases to develop your melodic memory. In Trinity Grades 1 & 2, this is replaced by stating whether the last note of a phrase is higher or lower than the first and then by the 3rd Grade up to Grade 5, you need to identify the interval between two notes. If anything, this is what you need to do, for the sight singing tests of ABRSM, identifying the difference in pitch between notes. As you go through to higher grades in Trinity, your ability to hear in your head what you see on printed music is also assessed by studying a copy of some printed music and identifying changes that the examiner makes to what is printed, either in pitch or in rhythm. At first this will be in the melody but for Grade 8, there will be three changes which could be in the harmony or the melody. This listening out for lower parts has a similar objective to singing the lower part of the higher grades at ABRSM. As any of you who have listened to my help video on how to do this will know, this has more to do with theory knowledge than Aural Skills. It has been my experience, that the parts which the majority of my students struggle with in ABRSM Aural, are the singing parts. Does that mean they are bad at Aural, that they cannot hear? Or that they find the singing itself difficult? Please let me know in the comments below if you think singing is necessary, to assess aural skills, if you identify with what I said about the singing parts being the hardest. Back at the beginning of the year, ABRSM, in my opinion dumbed down their theory exams. I wonder if something similar is in the pipeline for their Aural Tests in the near future. If so, remember, you heard it here first.